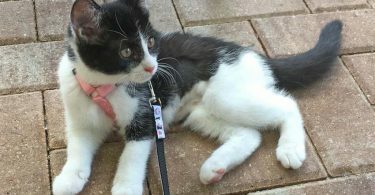 Cupcake may be the best-known cat in south Orlando, but she didn’t start out that way. 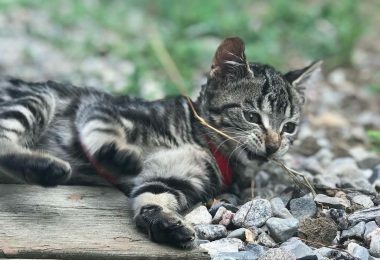 She was one of a litter of five kittens who were born to a homeless mother cat in the window well of a building in Ohio. 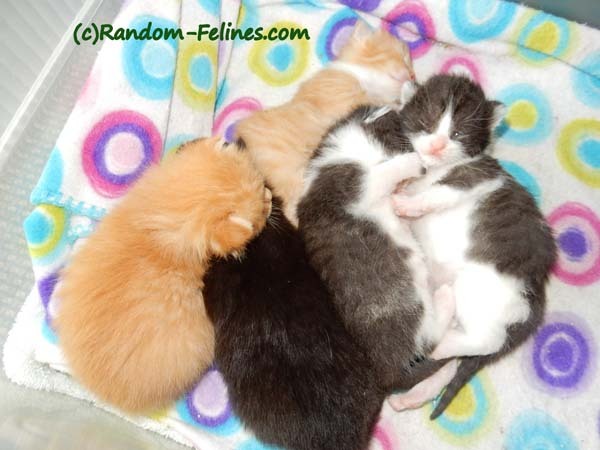 The kittens and their mother were fortunate enough to be rescued by the Colony Cats rescue organization. The volunteer who in the family to be their foster Mom named all of the kittens from the litter for fashion designers. 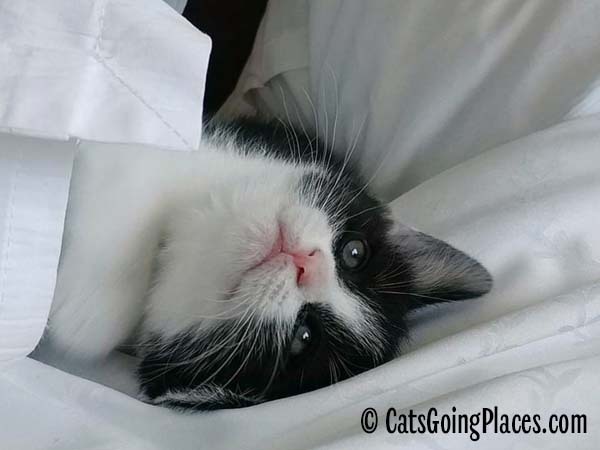 All of the kittens became social media stars on the volunteer’s blog, Random Felines. 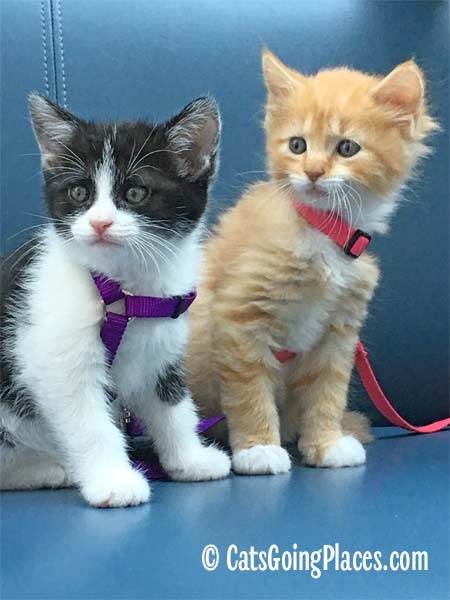 Then, at seven weeks old, the three most outgoing kittens in the litter went with her to the BlogPaws pet social media conference. That’s where I met them. 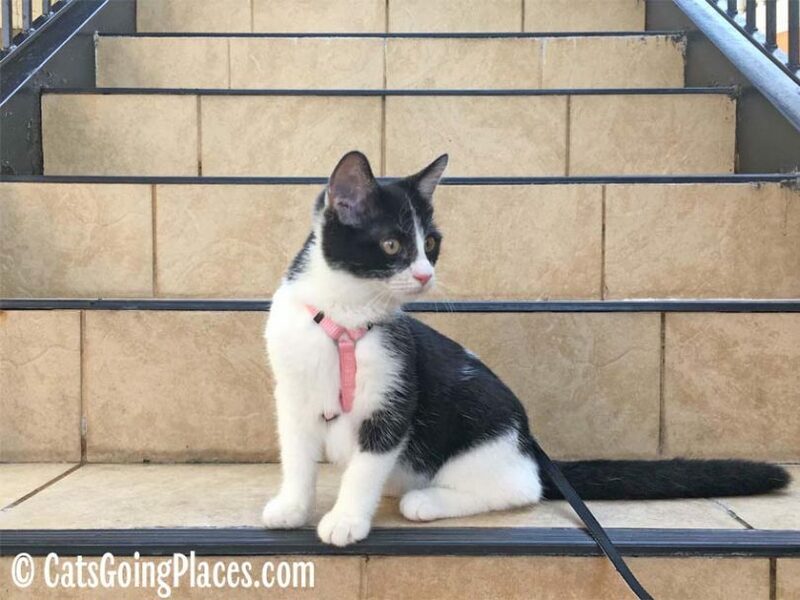 One of the three kittens was Dior, a black and white short-haired tuxedo. 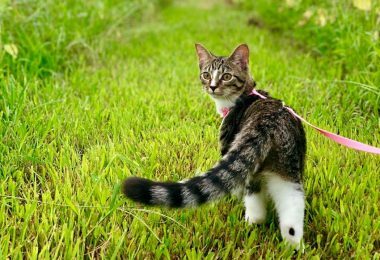 During the course of the conference, little Dior and her brothers became familiar with wearing harnesses. They saw lots of dogs and cats, and they came into contact with dozens and dozens of humans. When Dior wasn’t out getting socialized and seeing new sights, she was busy charming me. I was rooming with her foster Mom for the conference, and Dior was on an all-out campaign to win me over, one no human could possibly resist. A month later, little Dior arrived at my house in Florida to be adopted. When she did, she got a new name: Cupcake. 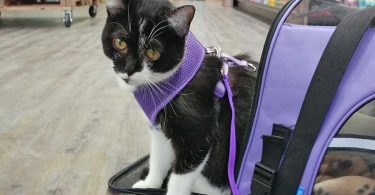 At the time, I didn’t have any plans to continue taking her out on the town, but I did want to make sure she had a kitten harness to replace the one she wore for her plane ride from Ohio. She had to give that one back so future foster kittens could wear it. While her foster Mom and I were out with her to buy her new harness, they decided to stop in to get ice cream, and it was clear that little Cupcake really enjoyed the outing. 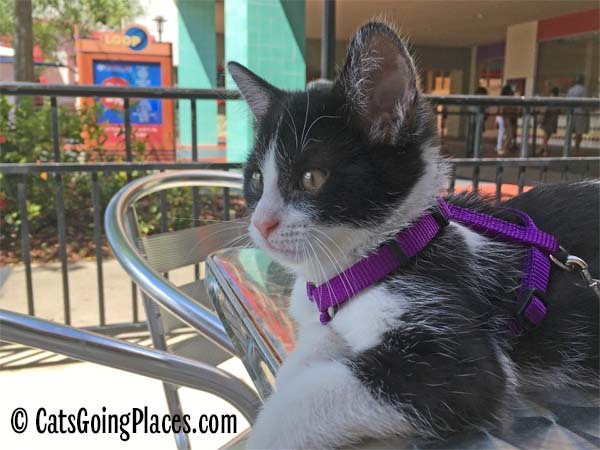 I continued to take her to various places around town, from the local coffee shop patio to the various pet-friendly stores around town. Today, when we walk into one of the local pet stores, several voices chorus, “Cupcake!” the way everyone yelled “Norm!” at Cheers. We are still expanding Cupcake’s boundaries with expeditions to new places in town, and we look forward to sharing them with you! Hi, Cupcake! We’re so glad you get your very own blog! Cutie!! We are so glad things have worked out like they have!! Cupcake, we love you to pieces and are so excited about your new blog! Wish TW was going to Blogpaws ’18 so she could meet a grown-up Cupcake. 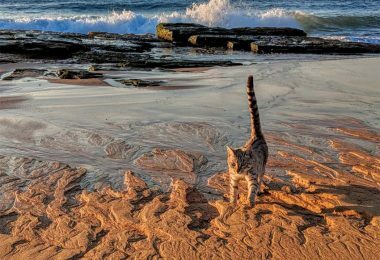 ConCATS on your new adventure Julie … wishing you much success, it’s a wonderful idea! Squee little Cupcake! you are so cute! Cupcake, I’m so glad you and your human are doing this new site!  It’s perfect for urban adventure kitties!